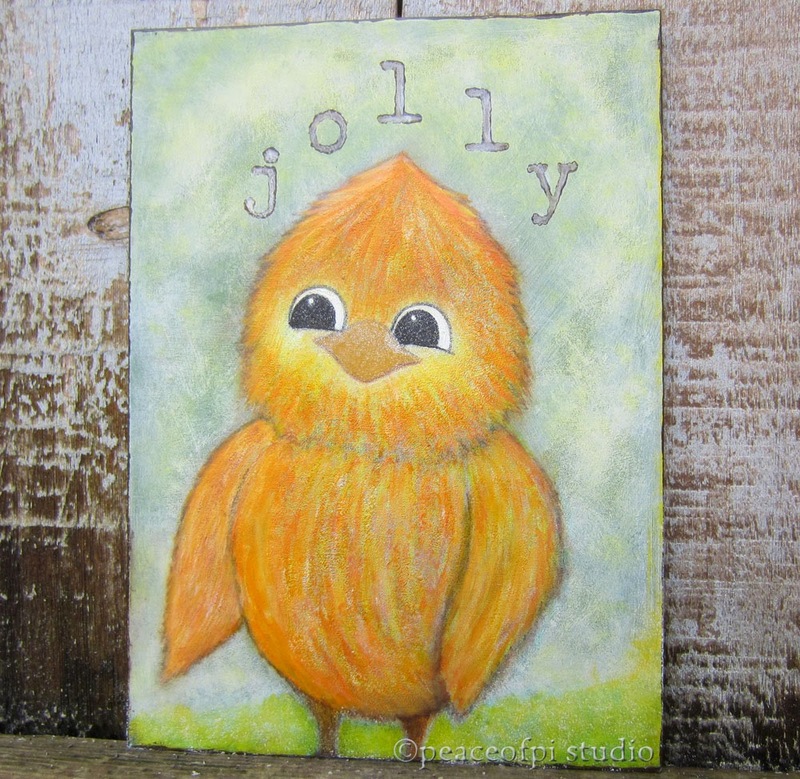 A bright orange bird with a happy demeanor, Jolly Bird is a painting that's part of the series a little bird told me. Painted primarily in acrylics, this bird joins the other pieces in the series, each bird character with a message or trait meant to encourage and inspire. This jolly orange bird has eyes that shine with a merry smile, welcoming new friends to join him.